Leukemias are classified as either acute or chronic. Within the acute category, the major types are AML and ALL. The equivalent chronic types are CML (discussed under MPDs) and CLL. CLL is the most common leukemia in adults, whereas in children, ALL is most frequently seen. The acute leukemias are characterized by the proliferation and accumulation of immature blast cells. The blasts accumulate in the bone marrow, resulting in the failure of normal hematopoiesis. The WBC is usually elevated at presentation due to circulating blasts but a low WBC is not unusual. 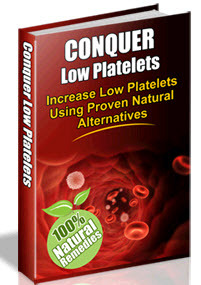 As a consequence of impaired hematopoiesis, symptoms and signs of anemia, thrombocytopenia and neutropenia are often present. Manifestations can include fatigue, pallor, bleeding or easy bruising, and infectious complications. Epistaxis or oozing from the gums related to dental procedures is frequently present. Purpura involving the buccal mucosa is also a relatively frequent observation in the setting of severe thrombocytopenia. DIC may contribute to bleeding, when present. Apart from manifestations related to pancytopenia, infiltration of tissues or organs including the skin may occur, especially in the setting of AML with monocytic differentiation. Gum infiltration is another relatively common feature of this leukemia subtype. Discrete violaceous lesions or a more generalized rash may occur. In such cases, a biopsy may show infiltration with myeloblasts. Chloromas or granulocytic sarcomas are collections of blasts occurring as discrete masses. They can present as isolated masses at any site. Subcutaneous locations occur and may precede the development of systemic leukemia or another MPD. They have been frequently described involving a number of head and neck sites including the orbit, masseteric muscle, and maxillary sinus, but can occur at any location (34). They have been reported involving skin, bone, salivary glands, muscles, and mucosa and can be single or multiple. Cases of airway obstruction have been attributed to chloromas (35). Since they can represent the initial manifestation of leukemia, systemic manifestations or abnormal blood counts may not be present at diagnosis. A chloroma of the neck is shown in Figure 4. Biopsy of such lesions is essential for diagnosis and should result in an evaluation for systemic disease. Facial paralysis can also occur from infiltration of the nerve by malignant cells, as shown in Figure 5. CLL, the most common leukemia, is often diagnosed incidentally as a result of a mature monoclonal lymphocytosis identified on a complete blood count. When signs or symptoms are present, they can include fatigue, fever, shortness of breath, weight loss, bleeding, and symptoms resulting from lymphadenopathy, often bulky. There is an increased risk of bacterial and fungal infections, partly related to hypogammaglobulinemia. An exaggerated response to insect bites can also occur. A skin rash due to cutaneous infiltration may sometimes be seen. Warm antibody-mediated autoimmune hemolytic anemia and immune thrombocytopenia occurs in up to 20% of patients with CLL (36). 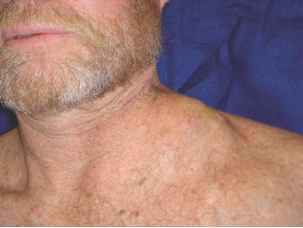 FIGURE 4 Swelling of the neck in a patient with ALL. Biopsy confirmed that this was a chloroma. Abbreviation: ALL, acute lymphoblastic leukemia.